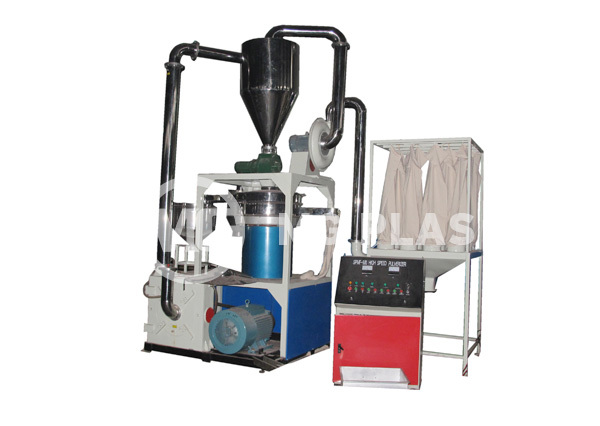 Disc type plastic milling machine is an ideal equipment of processing and milling thermal plastic such as soft PVC, PP, etc. 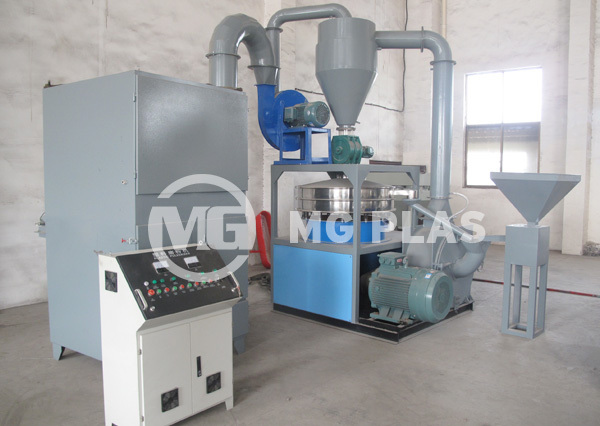 It mill the plastic materials by two discs in the chamber, and it is SMF series in MG Plas. The available power sizes are 20~100mesh (150~750Micron). 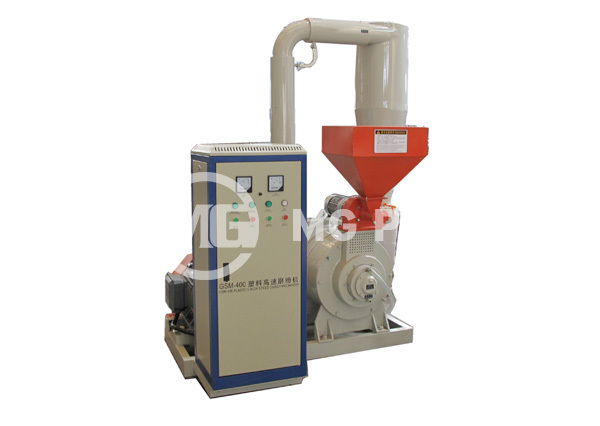 this type miller is equipped with vibration sieve and dust collector. 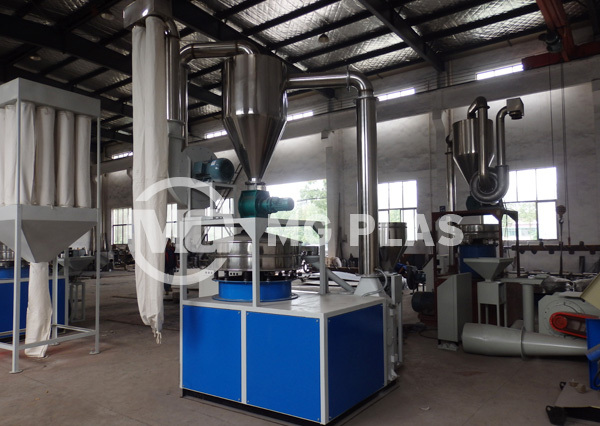 The vibration sieve will separate the over-size materials and drop into the miller automatically for processing again, and the qualified powder will be discharged from another outlet for package. The dust collector is a good auxiliary device for cleaning the workshop.